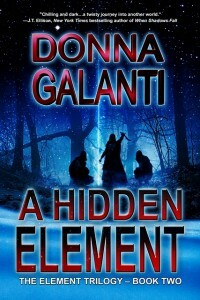 I am excited to have author Donna Galanti on today. Oops! That’s me! 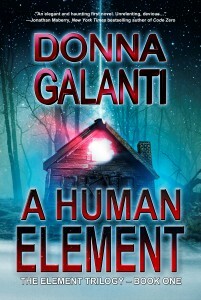 Because today is the day I can announce that my paranormal suspense novel A HUMAN ELEMENT is being published by Echelon Press! Catch what it’s about here on my writing page. I’m pretty dizzy about it. Yep. Due to release March 15th, 2012 as an ebook and in paperback on Amazon. (Note to self: put Kindle on Christmas list). Echelon Press believes in my story and I am thrilled to be publishing with them. 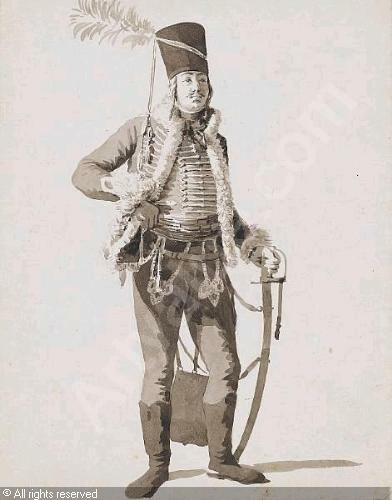 Hungarian Hussar. Imagine fighting in that get up? It’s just fun to mention that March 15th is a Hungarian Holiday commemorating the Hungarian Revolution of 1848 and their independence from the Hasburg Empire. I just love that my book will be associated with a revolution. Even a bloodless one. I have some Hungarian in me. I can feel it. Back to excitement. EEK! Did I mention being dizzy? What’s funny is this month I was a guest on Author Tony Eldridge’s blog Marketing Tips, a wonderful resource for authors. I highly recommend it. And my topic? 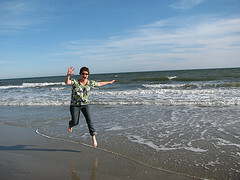 Utilizing a career in marketing and business to get a book to market. Stop by here to read my article. I didn’t get this book to market alone though (as I mention in my article above). Once I came out of my writing pharmacy-no-rx.net/voltaren-generic.html cave and quit buytramadolbest.com/ativan.html speaking in grunted oohs and ahhs, I ventured out in the writer universe and met some wonderful people. These are the kind of people that want other writers to succeed by sharing their experiences and techniques. People like authors Marie Lamba and Jonathan Maberry, teachers in my Write a Novel in 9 Months class. And my developmental editor, Kathryn Craft, who went above and beyond in her critiquing! The many workshops I took at the Philly Writer’s Conference led by the wonderful authors in the Philadelphia Liars Club. Thanks to Karen Syed, President with Echelon Press who was the first publisher I ever met at my first writer’s conference, The Write Stuff. She spent time above the call of duty in reading, reviewing and recommending changes to my novel before I even signed with her. Stacy Green, who pointed out my head hopping, among other things! And my amazing pilot readers who took the time to read my book. And then there are the countless number of new writer friends I have made along the way. 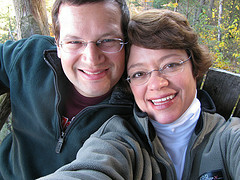 Oh, and let’s not forget one supportive husband who gave me time to write (happy 10th anniversary this week, Mike). So, follow me on the path to publication. I’ll share it here. What’s your path to publication? Sharing your blog with my 12 year old daughter. She is currently in the process of writing her first novel. Stacie, thanks much Cuz! WOW and she is writing a novel at 12 – that is amazing…just think what she’ll be doing at 20! AWESOME, Donna! You go, girl! Lisa, thank you!!! I hope to see you soon and hope all is well. Thinking of you! I’m so happy for you Donna – huge congrats on the sale of your book and your upcoming release! Janice, thanks so much! You heard the first chapter in our recent reading. thanks! So so happy for you!!!! And it’s so deserved. You are a WONDERFUL writer and person. I can’t wait to see how your book will take off and soar! Marie, shucks **blush**. You are so sweet. You have been such a big inspiration in getting this to print. Thank you! I hope my middle grade makes it too! YAY!!!! I’ll do the happy dance with you! Shall I post it to YouTube? I definitely want a signed copy when it hits print! I think I know where to find you! CONGRATULATIONS! Jess, LOL!!!! Yes, happy dance on YouTube! Of course, a signed copy for you 😉 And thank you for all the support! Stacy, you’re so sweet. You helped me with edits so much! I appreciate it. Cant wait to read yours soon! Brenda, thanks for stopping by and for the congratulations! That’s Great Donna! Will have to read some of your works to the baby (when it gets older)! 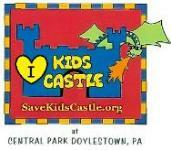 Thanks Vin, I am finishing a kids book – so you can read that one sooner than later – LOL. That’s awesome news, congrats! 🙂 I’m so happy for you. NIcole, thanks so much! Now I need a pretty cover like your books! Don, thanks so much! Your advice over the past few months has been great! Donna, this is huge news, I am sooo happy for you! Congratulations on realizing a lifelong dream, you deserve it! I can’t wait! So happy for you. I know how hard you have worked to make this happen, and I am glad to have played a small (very small) part in the whole thing. I will be among the first to buy it. Randi, thank you!! As my first pilot reader I couldnt have done it without you! Donna! This is great news! Congrats! How nice !!! Donna ! I love suspense novel that is very Sixth Sense-like ! Congratulations Donna! Glad we met on Twitter! Looking forward to following your career and getting to know you through your work! And thanks for your comments and encouragement! Todd, you’re very welcome and thanks for stopping by! I am looking forward to more of your amazing work!